Here are several things that I apparently missed were happening: there is going to be a Disney remake/re-adaptation of Jules Verne’s 20,000 Leagues Under The Sea. David Fincher is going to direct it. And for awhile, Brad Pitt was in talks to star as Ned Land. But, wait! Now Pitt has passed and everyone is looking towards Channing Tatum (basically young Brad Pitt but with more dancing) to take the part. Details are sparse right now, but it’s been confirmed that Fincher is looking into other actors to take the part that none other than Kirk Douglas played in Disney’s 1954 film of Jules Verne’s classic novel. 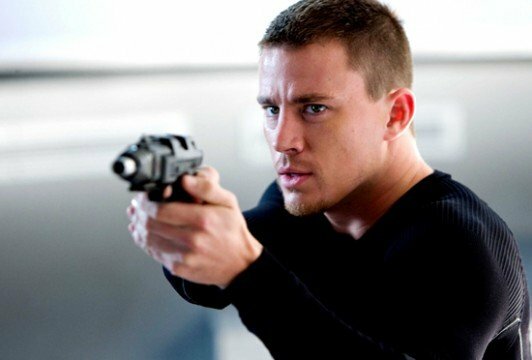 Channing Tatum is right at the top of the list; in fact, as of right now, he IS the list. Interesting. 20,000 Leagues Under The Sea has all the exciting elements we might expect from a 3D Disney tentpole film: mad captains, sunken treasure, sea monsters, submarines. The fun of the original comes from the slightly bizarre/hokey special effects, and one hell of a cast: Kirk Douglas, James Mason, Paul Lukas, and Peter Lorre. It’s notable for being the only sci-fi produced by Walt Disney himself, and the first produced by Walt Disney Productions. Fincher will have to put together some really excellent performers to come close. Channing Tatum certainly has charm to spare for the part of sailor and beefcake Ned Land, essentially the hero of the story. He’ll make an interesting addition instead of Pitt, which would definitely be casting old rather than young. But I’m honestly more intrigued by the prospect of a Disney film directed by David Fincher. That seems both wrong and incredibly awesome. Fincher has other things on his plate right now, though, as does Tatum, who likely will not be available until next year. Fincher’s Gone Girl at Fox and the sequel to The Girl With The Dragon Tattoo could come up before Leagues is set with its star. It may be a little while before we get to see David Fincher’s interpretation of Jules Verne. What do you think of 20,000 Leagues Under The Sea? Can Channing Tatum take on a role intended for Brad Pitt? Can Fincher do justice to classic Disney? Let us know in the comments below.